Asymmetrical, radially symmetrical, and bilaterally symmetrical organisms. How can we differentiate between the emergence of biological structures that were truly evolutionary watersheds, from the emergence of biological structures that seem like watersheds to us because they happen to reflect the sequence of historical accidents that led to us? In other words, what is the place of anthropocentrism in identifying the major bifurcations in evolutionary taxonomy? Given our anthropic bias, it is easy to identify the emergence of anything that typifies ourselves as a significant watershed. 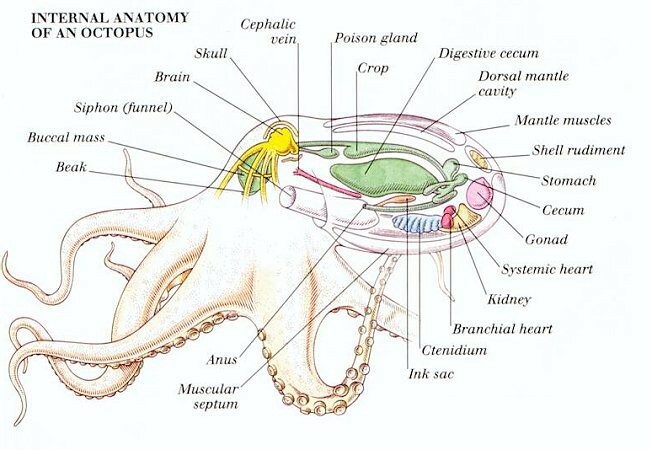 Thus we might count the emergence of the body plan of four limbs each with five digits — found so pervasively throughout the animal world, among terrestrial mammals, flying mammals, and marine mammals — as biologically significant, when it is, to a certain degree, merely an accident of our biological history. The four limb, five digit body plan is is highly effective and adaptable, and for this reason it cannot be entirely dismissed, but it also cannot be understood as a being on a par with the ability to breathe air or having a backbone. Snakes and whales gave up their limbs, but retained their vertebrae and ability to breathe air. Having four limbs and five digits is merely a contingent accident in history that might have been different, but if we didn’t breathe air we couldn’t create a terrestrial civilization. The same is likely true for being vertebrates. 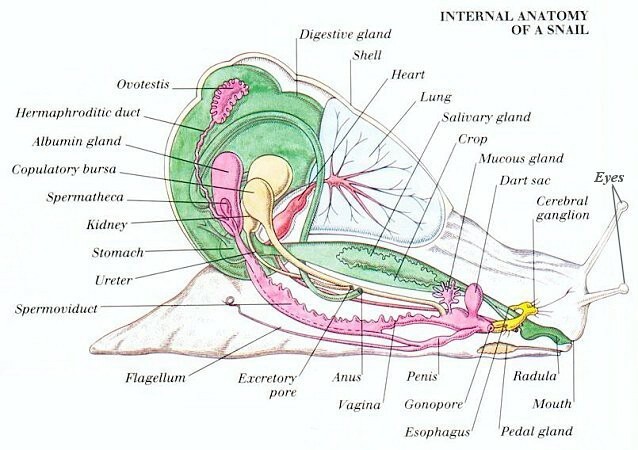 The emergence of vertebrates in this history of life, like the emergence of lungs, is rather more consequential than the particular accidents of a body plan. A vertebrate organism makes possible a wide variety of body plans and evolutionary adaptations that could never arise from invertebrates — standing upright and manipulating objects would be difficult without a backbone — so recognizing the importance of the emergence of vertebrates in the history of life is not mere parochial anthropic bias. Thinking in these terms, I thought of a problematic case that is not clearly parochial and not necessarily crucial for the emergence of further evolutionary innovations: bilateral symmetry. Vertebrates possess bilateral symmetry by their very nature; the structure of vertebrae themselves are bilateral. But arthropods are also bilaterally symmetrical, and it is not beyond imagining that a sufficiently evolved arthropod might produce an industrial-technological civilization. Some will perhaps find this to be an unlikely counter-factual, but it is not nearly so unlikely as an organism without either a backbone or an exoskeleton creating a civilization. 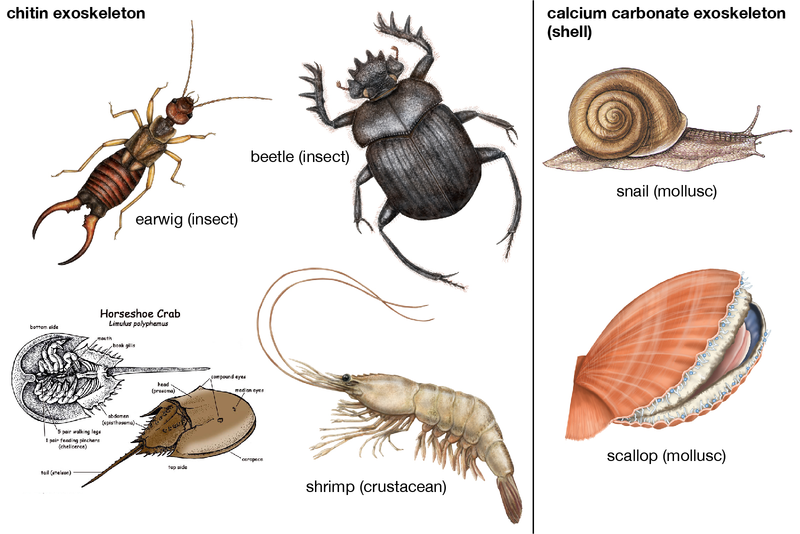 It should be pointed out that arthropods possess an exoskeleton rather than an internal skeleton (i.e., an endoskeleton), but the exoskeleton serves a similar function. 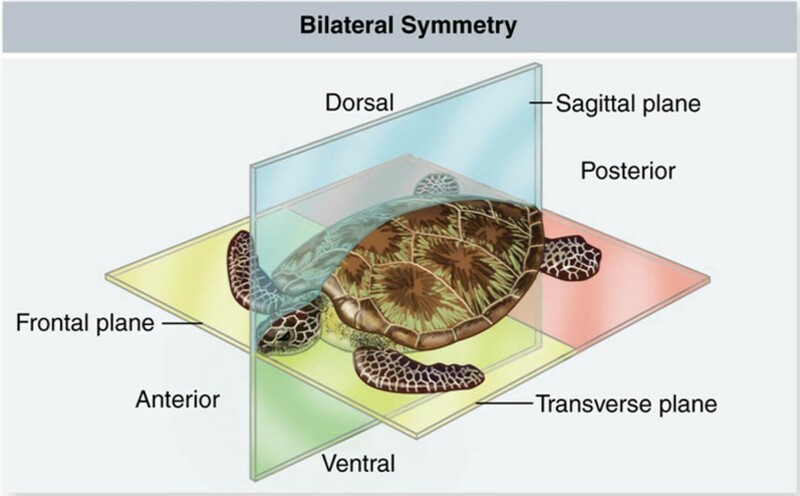 What does it mean to be bilaterally symmetrical? This sounds like a very odd question to ask, but I think that we need to learn to ask this question with the same urgency and insistence that we ask, “What does it mean to be human?” when we find ourselves in a philosophical frame of mind. Why does it matter that we are bilaterally symmetrical? I cannot think of any body plan that is not bilaterally symmetrical that would be a suitable candidate to produce civilization as we know it, though this could merely be a failure of imagination on my part. To assert that this cannot be the case, i.e., that no bilaterally asymmetrical body plan would be consistent with the emergence of an intelligent being capable of developing civilization (ever, under any circumstances), would be to commit the fallacy of personal incredulity. The intelligence of mollusks is often remarked, and it would not at all surprise me that something like an octopus could evolve consciousness and intelligence, but in so far as a mollusk is confined to an aquatic environment, it would have difficulty producing a civilization with a metallurgical technology. Perhaps mollusks could evolve to become terrestrial without adopting bilateral symmetry. A snail is a terrestrial invertebrate, though it does posses a calcium carbonate exoskeleton, and at least its eye stalks are bilaterally symmetrical, but it isn’t nearly as smart as an octopus or a cuttlefish. I don’t think that snails, however, are the future of civilization. It will be obvious to any reader that my perspective here is strictly naturalistic. I have made a lot of assumptions that I have not attempted to spell out in detail or make fully explicit. Thinking about this recently, I realized that certain counterfactuals are implicit within any thorough-going naturalistic account of the world. I would like to try to go a little further into the particular constitution of human beings from a naturalistic point of view and how it relates to the forces that have shaped us and how we have shaped our civilization. While a complete formalization of any exposition of body plans conducive to the emergence of civilization — or even the emergence of a peer civilization, which would be an industrial-technological civilization not of specifically human origin, an exocivilization — must await a systematic exposition of a metaphysics adequate to a naturalistic understanding of humanity’s place in the universe (and no such metaphysics yet exists), there remains much that can be said short of a systematic treatment. 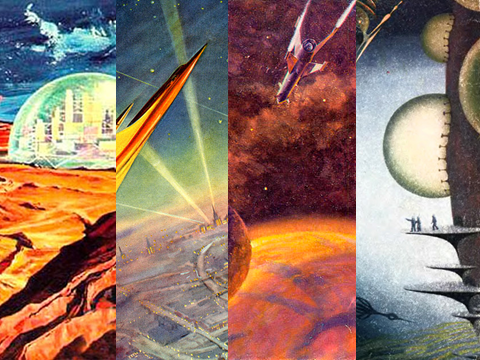 Different beings would produce different civilizations. 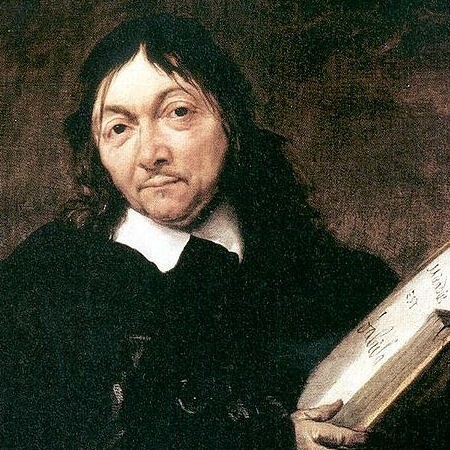 It is of the essence of naturalism, understood as a philosophical position, to be tolerant of variables that are to be charged to the contingent nature of history and all that is shaped by history, not excepting our minds and our bodies. Given different historical antecedents, we might have turned out differently. The particulars of our constitution are not essential to our being sentient, rational beings, although it is not clear (and it may be quite difficult to make clear) exactly where the line is to be drawn between the merely contingent and the essential in our constitution. This is true of a being primarily conceived naturalistically; it would not (necessarily) be true for a being conceived primarily metaphysically. For a metaphysical being, the essential could be clearly and unambiguously delineated. Such a being would either be exhaustively essential, or possess a clear demarcation between its essential nature and the contingent accretions of historical accident. But no more of that. Necessity or contingency? Deterministic or stochastic? Just as a defender of libertarian free will may argue that, whatever action an individual did in fact take, that individual could have taken a different action, so too a naturalistic understanding of ourselves and our civilization would argue that, however we did, in fact, turn out, and how the civilization we have built turned out, it could have been different. 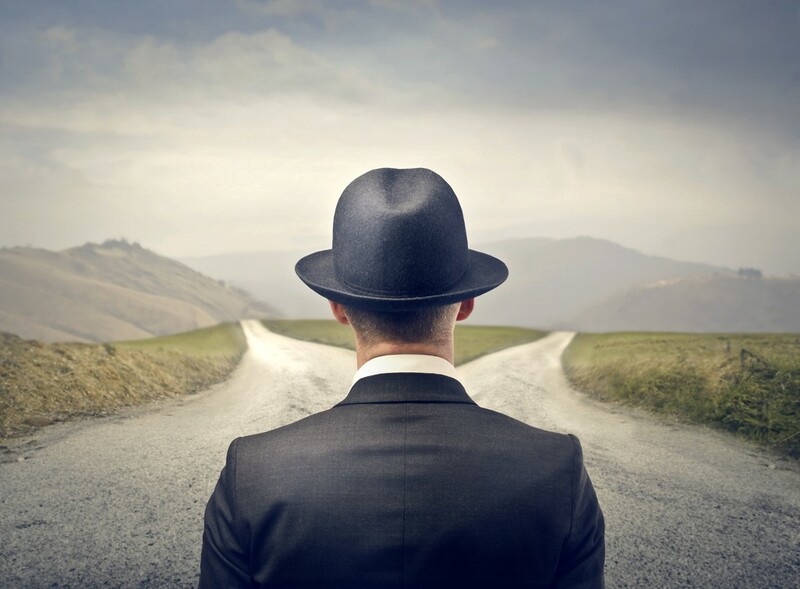 This is not because we believe the world has free will that it can exercise (though there are perhaps some philosophers who would argue for this), but rather that there is nothing necessary or inevitable in our constitution, and nothing necessary or inevitable about the actions that have been taken that have resulted in the civilization that we have today. 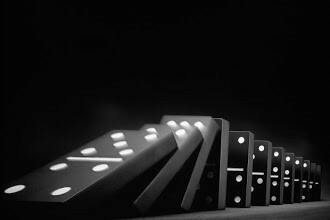 In one case, that of the emergence of our species, necessity and inevitability are ruled out by contingent matters of fact. In the other case, that of the emergence of civilization and the other products of human activity, necessity and inevitability are ruled out by the contingent actions of individual human beings, which actions are subject to free will if one understands at least some human actions to be determined by volition (as I do). In the case that one denies freewill, then the necessity and inevitability of civilization is ruled out by the same contingent matters of fact that made our species what it is. In either case, the nature of human civilization is contingent, subject to historical accident, and in no sense inevitable. 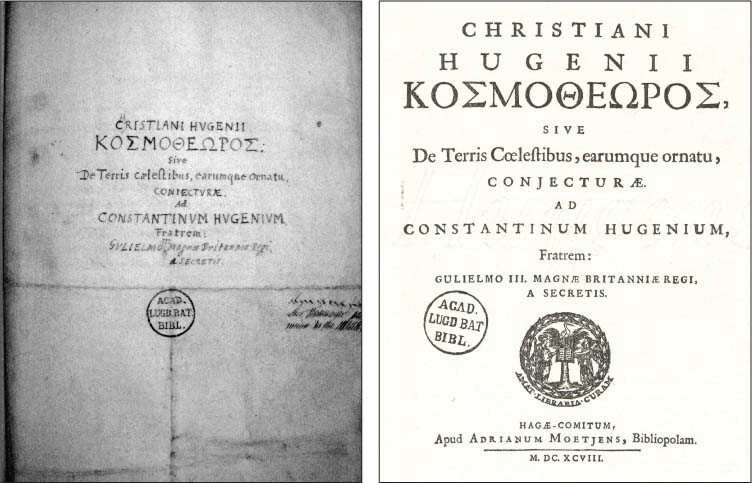 The role that Christiaan Huygens and Gould attribute to contingency in the constitution of the human frame may also be attributed to the frame of our minds and all that our minds have produced. 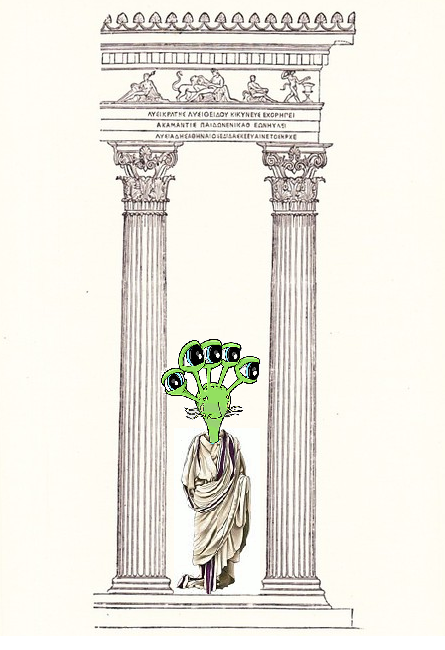 The intellectual infrastructure of civilization was and is subject to historical accidents, and a different series of historical accidents than those that did, in fact happen, would have resulted in a different civilization. Indeed, one could argue that civilization is even more vulnerable to what chaos theoreticians call the “butterfly effect” than are the robust structures of physical anthropology. History is replete with endless “what-ifs” that pose the question of how different our world today would be, had some minor detail be changed in the past. This anti-dualistic reaction has also taken place in anthropology. In crude terms, those who study human development once assumed that human beings descended from a “smart ape,” whereas now the view is more that human beings descended from a bipedal ape, leaving hands free to manipulate the environment, and it was this bipedal ape using its hands to help it survive, that benefited from increasing brain size and increasing cognitive capacity. As I said, this is the crude version. Our earliest primate ancestors probably already had binocular color vision, which already requires a brain of significant size. Being able to recognize the ripeness of fruit by sight is a survival advantage, while swinging through the branches of trees is aided by binocular vision which gives depth perception. Nevertheless, even the crude version has something to teach us, as it makes us more keenly aware of bringing a developmental perspective to mind, and the role that the body plays in the development of mind. Here the idea of the embodiment of mind takes on its full significance. We have the kind of minds that emerge from primates and the lifeways of primates. The more distant a non-human body is from primates and their lifeways, the more distant will be the constitution of the mind, because the way of life of some distant terrestrial cousin will be equally distant — constitutive of the mind of this other being as our primate way of life has been constitutive of our minds. But a common thread runs through the diverse lifeways of reptiles, amphibians, birds, mammals, and many arthropods, and that is bilateral symmetry. Thus as we have the kind of minds that emerge from a primate way of life, so too we have the kind of minds that emerge from a bilaterally symmetrical way of life, and this much of the life of the mind we share with every other bilaterally symmetrical terrestrial being. 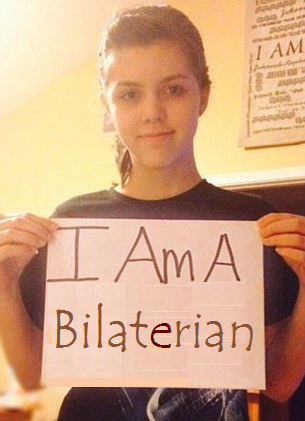 We bilaterians are rightly proud of our body plan. Just as the role that Christiaan Huygens and Gould attribute to contingency in the constitution of the human body and, by extension, to the human mind, so too this contingency may also be attributed to the frame of our civilization, which is in turn an extension of the human mind. Anthropogenic industrial-technological civilization (AITC) — which might also be called Tellurian civilization (“Tellurian” being an adjective that means “earth originating”) — is but a single exemplification of industrial-technological civilization, and a wider knowledge of the universe might well provide us with counter-examples to our own civilization. Such counter-examples would be close enough to our own civilization that we would recognize such civilization as peers to our own civilization, but would also be different in ways attributable to historical contingency. How would we recognize exocivilizations as peer civilizations? 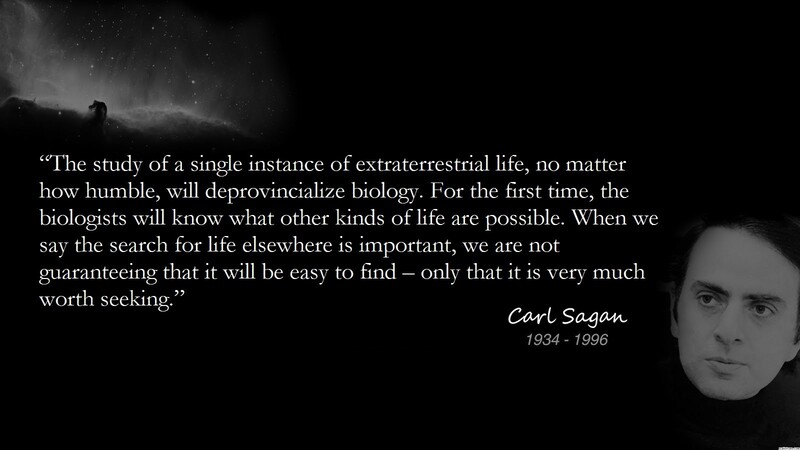 Carl Sagan observed that a single instance of non-terrestrial life would “deprovincialize” biology; so too a single instance of non-terrestrial civilization would “deprovincialize” the social sciences. We do not even know the possible parameters of social institutions and organization, and the limits of what we could be capable to recognizing as a peer civilization, desite numerous, perhaps countless, differences in detail. We do not as of yet have a science of civilization — the closest discipline we have to a science of civilization is that of history or sociology — so there is not yet a science of civilization to deprovincialize. We must begin from nothing, formulating a science of civilization ex nihilo, and we do so at a time when we are fully aware of the possibility of life and civilization elsewhere, which gives any incipient formulations of a science of civilization an urgent theoretical imperative to avoid provincial, parochial, and anthropocentric assumptions. Unlike the earliest formulations of biology, physics, or any established science, we must begin a science of civilization fully conscious of the need for concepts of the utmost generality with the widest possible application, including the possible application to exocivilizations. It seems likely that different body plans of an intelligent organism would result in different forms of civilization; we need not assert that these different forms of civilization will be absolutely different, because it is likely that, in some respects, they would closely resemble (or overlap with) some of the forms of civilization human beings have put into practice. Both biologies and civilizations are likely to overlap and intersect, exemplifying Wittgensteinian family resemblances. 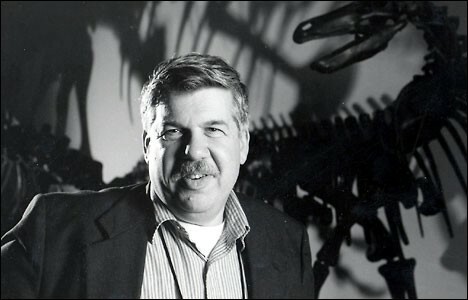 If, for example, invertebrate organisms, or organisms with an exoskeleton, attained intelligence and self-consciousness, and created the kind of civilization that could be built by such bodies and which would enable the growth in the numbers of such organisms (and those attendant organisms such intelligent beings would domesticate), the institutions and infrastructure of such a civilization would, of necessity, be distinct from the institutions and infrastructure of civilization that serves the needs of vertebrates — but not absolutely distinct. There would be a degree of similarity that made possible the identification of these alternative institutions and infrastructure as civilization. While it would be merely metaphorical to assert that the human mind is bilaterally symmetrical, it is literally true that our neural architecture is bilaterally symmetrical, and unless one adopts the kind of vulgar Cartesianism mentioned above — the “ghost in the machine” ridiculed by Gilbert Ryle, involving a purely mental substance that thinks mysteriously and inexplicably coupled to a purely material substance that constitutes the body — our bilateral neural architecture is likely expressed in our cognitive architecture to a greater or a lesser degree. One aspect of our bilateral symmetry that is related to our intelligence and our perspective on the world is our binocular vision. 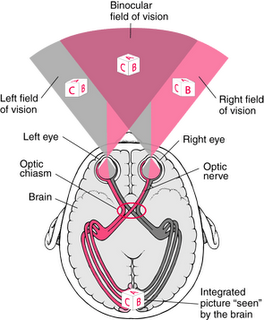 Our binocular vision is a function of our bilateral symmetry. We not only have two eyes symmetrically placed in our skull, but also two symmetrical brain hemispheres, each of which is associated with an eye, so that our visual architecture is intimately integrated with our neural architecture, and both are bilaterally symmetrical. 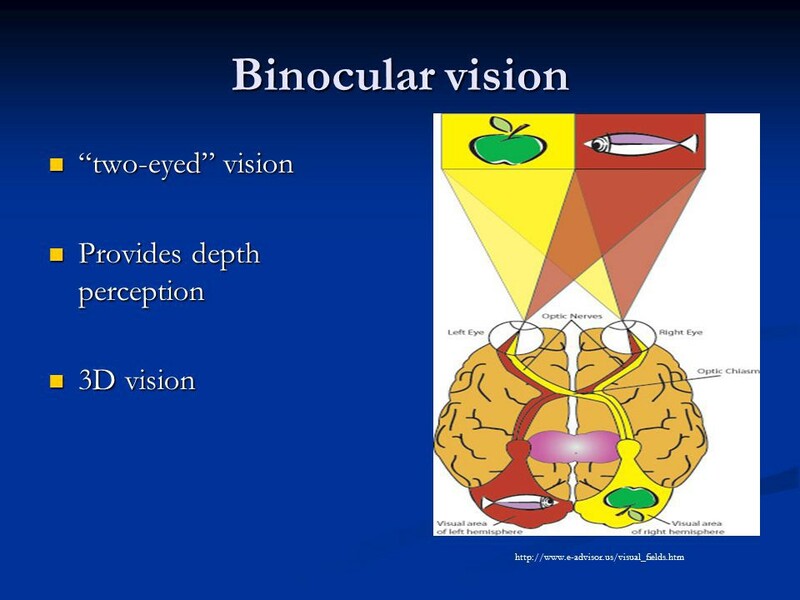 Binocular vision is important for depth perception, hence for detailed spatial tasks. 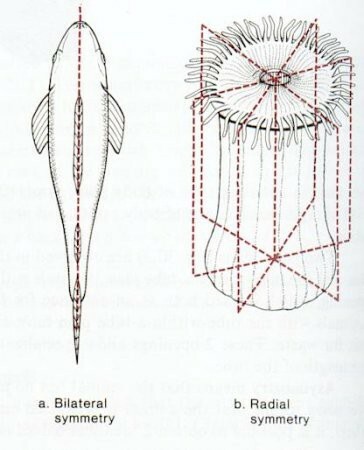 It would be very difficult for a species without binocular vision to have followed an evolutionary path of development that would lead them to the creation of electro-mechanical technology. Imagine, for example, trying to fit together the gears of a clock without depth perception. It would be difficult, though not perhaps impossible. Much of this is true for hearing as well: our bilateral symmetry has given us two ears, which give us depth perception in space through echolocation, and a bilaterally symmetrical neural architecture based on this binaurality; there is an acoustic chiasm as there is an optic chiasm. In any statistical consideration of the possibility of ETI in our vast universe, then, this difficulty would imply that, if there are multiple intelligent species in the universe that have produced civilizations, the greater number of them would possess depth perception, and depth perception implies an optical architecture of two or more eyes in a separated and stable configuration. This, in turn, implies bilateral symmetry as one of the simplest structures to facilitate such optical and neural architecture. Moreover, the signals from two or more optical nerves must come together in the brain and ultimately produce a single image if what we see with two (or more) separate eyes is going to appear to us as one and the same world, seamlessly integrated (a world that is also integrated not only in respect to vision, but also in respect to all our other senses; this is a function of what Kant called the transcendental aesthetic and Husserl called passive synthesis, and I previously wrote about this in Kantian Critters). In an aquatic environment, the dolphin must always be able to keep one eye open (literally) for predators, and they must surface regularly to breathe. A marine mammal that fell into a deep sleep might drown or get eaten. 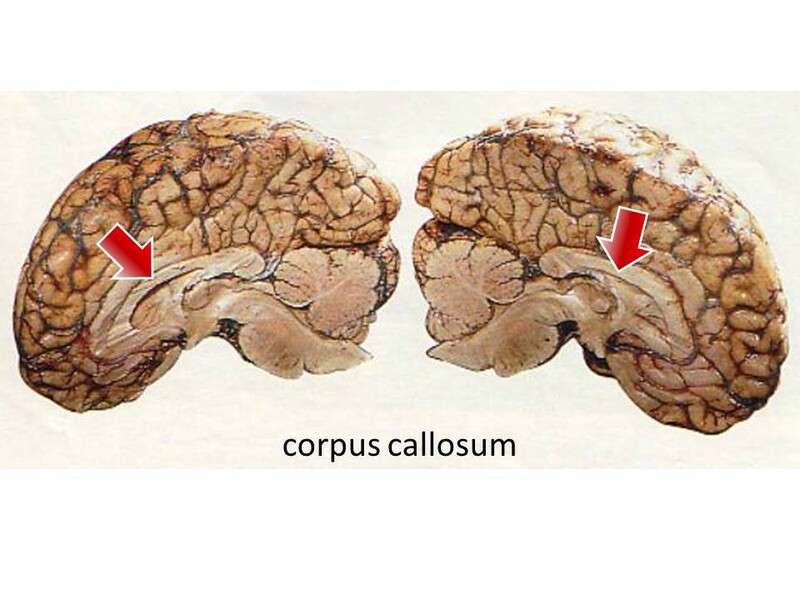 Thus some degree of conscious control over the corpus callosum would be selected for, but the mechanisms of USWS could be entirely unconscious. (Until we can effectively communicate with dolphins and ask them about their subjective experiences, and their interoception, we cannot know with any degree of confidence.) Thus the bilateral symmetry of brain hemispheres in the dolphin — the only other species on the planet that even approaches the encephalization quotient of the human brain — operates differently in the dolphin than in human beings. Of course, it doesn’t stop there. 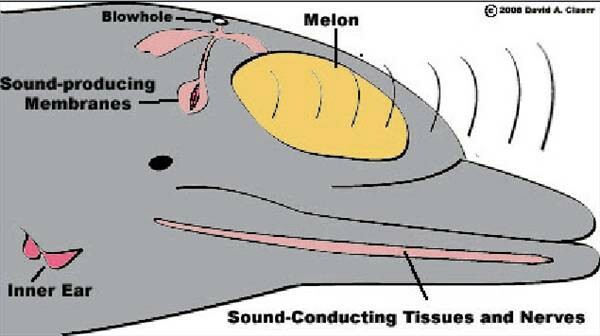 We human beings are primarily visual creatures, and our neural architecture reflects this, much as the neural architecture of the dolphins reflects their reliance upon sonar (cetacean brains include a structure called a “melon,” not present in primate brains, that serves as a sound lens for echolocation). 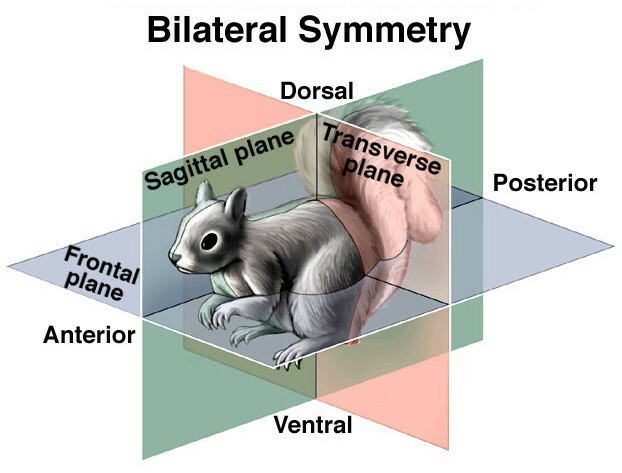 The consideration of the relationship of bilateral symmetry to neural architecture is suggestive, and in the big picture it suggests that bilateral symmetry is a stable structure that is also sufficiently complex to facilitate the emergence of interesting adaptations — human binocular vision and dolphin sonar both benefit from (and therefore are likely selected for) directionality, which in sensory organs would have a strong survival value. Could there be asymmetrical, radially symmetrical, or other symmetrical configurations (i.e., other than bilaterally symmetrical) of embodiment that could be the basis of intelligence and civilization? Yes, and these are interesting counterfactuals. 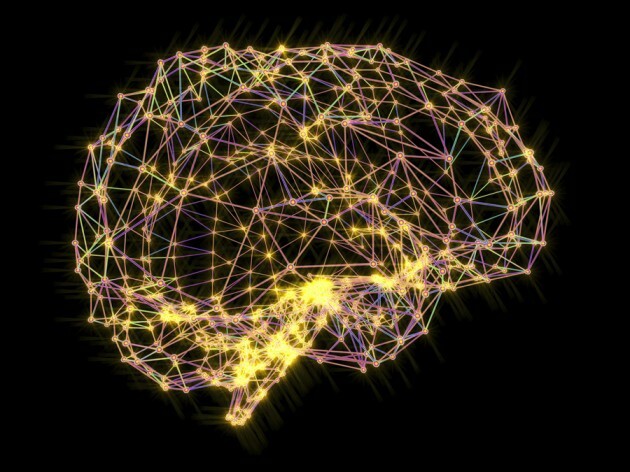 However, the more difficult it is for an embodiment architecture to facilitate a neural architecture adapted to complex tasks, the less often we are likely to find this as the basis for intelligence and civilization. We must come to think of intelligence and civilization in the universe statistically, as Darwin thought of biology — which is still a pons asinorum for many, because our otherwise brilliant neural architecture has been adapted to the immediate and the personal rather than the statistical. And this suggests another interesting approach: embodiment and neural architecture in relation to cognitive bias. Another time, perhaps.